Our trailer mounted electronic advertising signs are an ideal way to advertise your business. The message is clear, easy to read and runs 7 days a week. 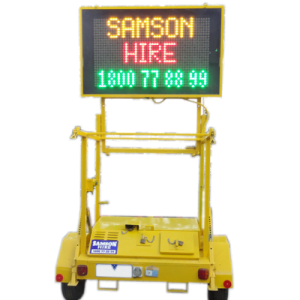 At Samson Hire, we deliver, set up and secure your signs. 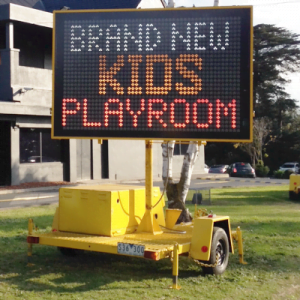 We can program your message remotely and we can change it for you at any time during business hours. 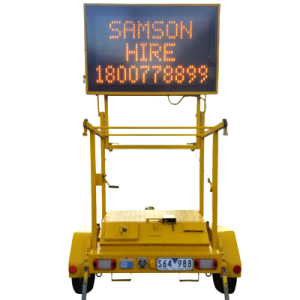 Electronic advertising signs are used to promote sales. promotions and events. 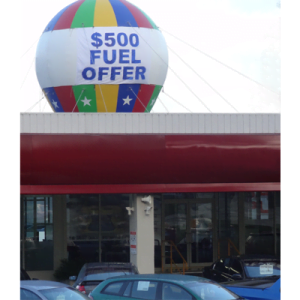 They generate massive amounts of exposure to your business and feedback from our customers suggest that the use of our signs have increased their sales which is a huge benefit when it comes to business turnover.